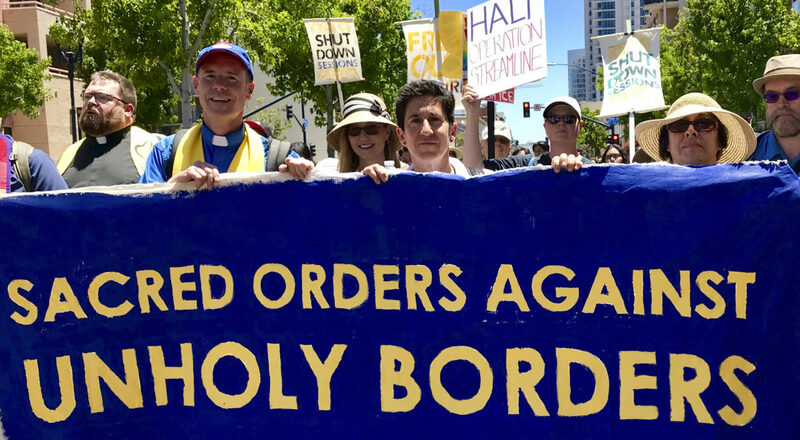 Prayers at ICE detention center call for release of immigrants – J. 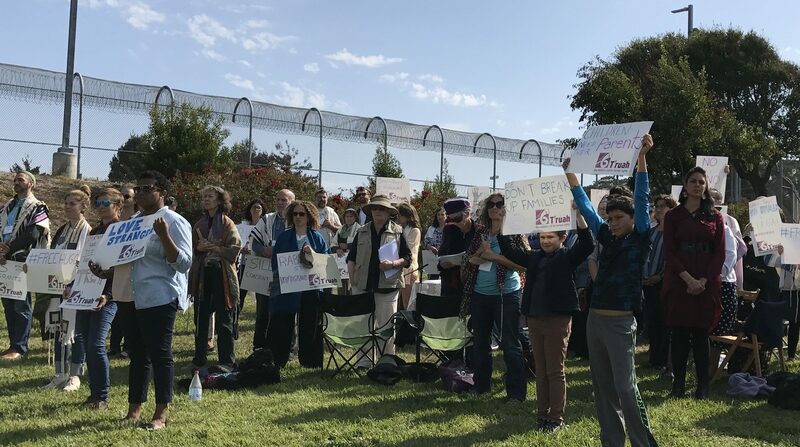 The blast of the shofar — multiple shofars, actually — were heard outside the West County Detention Facility this morning as about 70 people gathered for Jewish morning prayer services on the grass outside the Immigration and Customs Enforcement center in Richmond. The event marked the beginning of the month of Elul, the period leading up to the High Holy Days that traditionally is focused on introspection. The group consisted mostly of rabbis and cantors affiliated with T’ruah: The Rabbinic Call for Human Rights, with the Bay Area and Southern California well-represented. Some also came from other states. They were joined by members of Bend the Arc Bay Area: A Jewish Partnership for Justice. 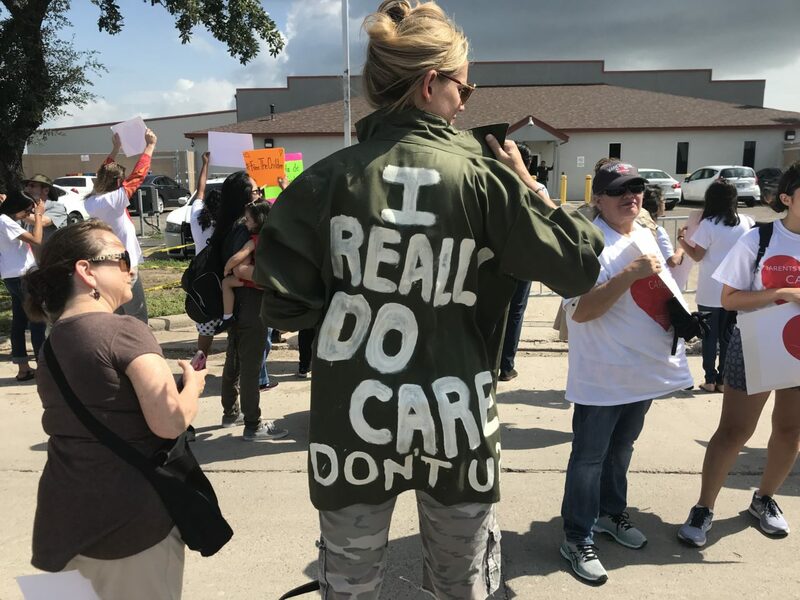 “We are using that framing to ask ICE and the federal government to repent their inhumane stance toward undocumented immigrants,” T’ruah said in a statement. 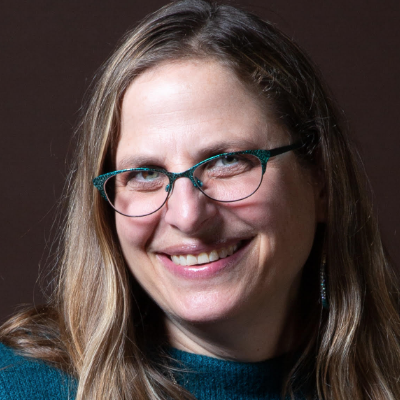 According to T’ruah’s New York-based executive director Rabbi Jill Jacobs, it was the first time the group had ever held services outside a detention center. It certainly made for a striking image, with people donning their multicolored prayer shawls and tefillin against a backdrop of an institutional building and barbed wire . Though they didn’t expect any kind of response from ICE, this was part of “our ongoing efforts to support those people inside,” said Jacobs. 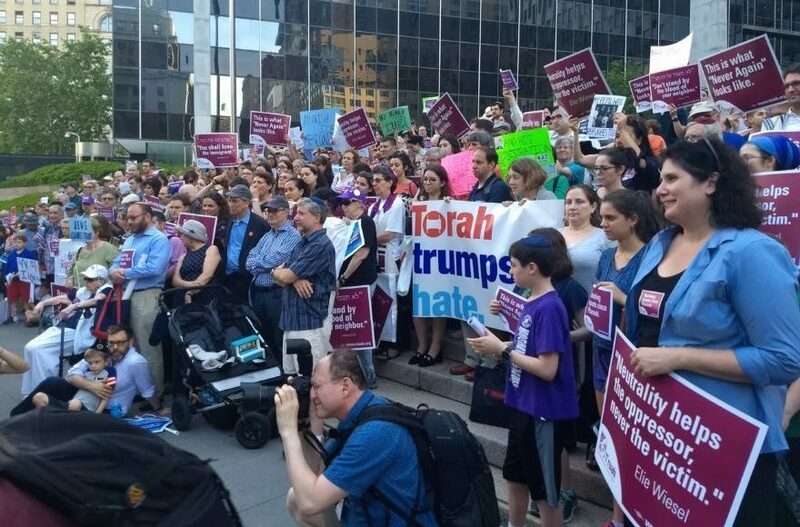 “As rabbis and cantors we want to bring our prayers and Torah to free those people facing deportation and say to the Trump administration that we are paying attention, that we want these people who are detained to be reunited with their families,” Jacobs told J. And bring the Torah they did. During the service, when calling people to the Torah for the first aliyah, Rabbi Emeritus Sheldon Lewis of Kol Emeth in Palo Alto invited up anyone who was doing some kind of sanctuary work. While saying Kaddish, the prayer for the dead, Rabbi Tirzah Firestone, founding rabbi of Congregation Nevei Kodesh in Boulder, Colorado, asked for the names of civil rights heroes who most inspired those assembled. Names called out included Harvey Milk, President Barack Obama, Rabbi Abraham Joshua Heschel, Nelson Mandela and Heather Heyer, the young woman killed two weeks ago protesting white supremacists in Charlottesville, Virginia. Before the shofar blowing, Rabbi Julie Saxe-Taller, the former associate rabbi at San Francisco’s Congregation Sherith Israel, called attention to the plight of Hugo Mejia, an undocumented immigrant and longtime San Rafael resident who was picked up by ICE on May 3 while reporting to work in Fairfield. (Many of the signs being held said “Free Hugo.”) Currently held at the Richmond facility, Mejia is facing deportation without a trial. Saxe-Taller also spoke in support of Senate Bill 54, known as the California Values Act, which would provide the legal basis for California to be a sanctuary state. Rabbi Michael Lezak, now the staff rabbi at the Glide Social Justice Center in San Francisco, knows Mejia personally from his time at Congregation Rodef Sholom in San Rafael. 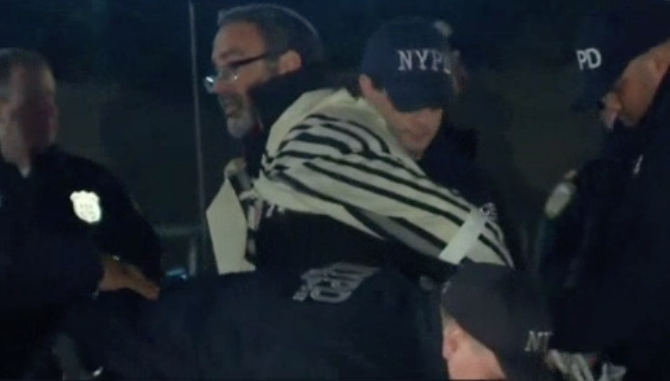 (Rodef Sholom has been actively working to free Mejia, who was a volunteer at the synagogue). He told those assembled that the husband and father of three is “a towering mensch,” and later told J. that he got to know Mejia through a partnership between Rodef Sholom and Venetia Valley across the street, a school that one of Mejia’s children attends. When the synagogue invited 10 families from the school to sit in its sukkah and share stories of their family’s immigration, Mejia’s family was one of those to participate.